world, and now the boy’s brutal father has returned. the only thing she has left...herself. The sheer physical strength of the man was impressive - the wide shoulders, the muscled thighs - she had felt this for herself as he had carried her up those stairs. But there was more than mere strength here. Yes, it was most odd. It was there in his eyes... This evening Emma would swear she could put her life in his hands and rest easy. But this man is a Norman! 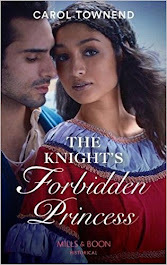 Kimberly has published a review on the Coffee Time Romance web site. You can read the full review here Coffee Time Romance. I was completely caught up in the story...How refreshing to read a medieval story without all the 'Knight speak', with the 'mayhaps' and 'ye's' thrown out. And the characterizations are strong, we are given generous access to Richard's inner most thoughts, his torturous nightmares of war, his growing affection for Emma. He really is a wonderful hero. His sensitive handling of Emma's son, the affection he shows the boy, is endearing. He treats his servants with kindness, and the people living in the village and near his lands with respect. And Emma, even though she is running from her former lover Judhael, she is no simpering, cowering miss. She has a real inner strength that Sir Richard cannot help but admire. She would do anything to protect her son. I loved following them on their journey back to Sir Richard's Norman lands, sort of a medieval road trip. And the love story between them is rich, lush and passionate. Both very strong, believable, likable characters, which made this a keeper for me. The full review is here: The Romanorum. 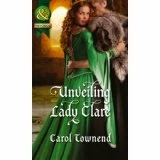 The reviewer gives Runaway Lady, Conquering Lord 3 and a half stars out of 4. 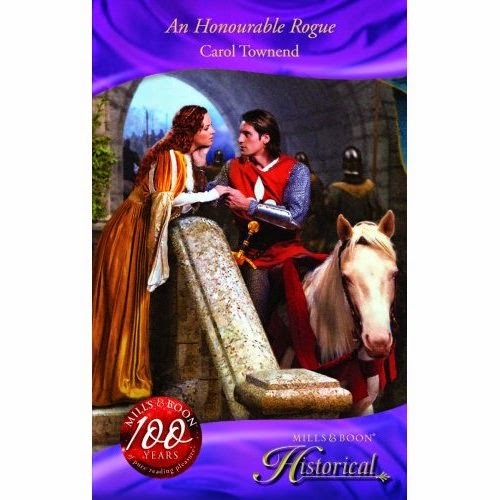 Full of colour, passion, intrigue, danger, adventure and atmosphere, Carol Townend’s Runaway Lady, Conquering Lord is another winner by this fabulous writer of historical romance who always writes with such confidence, verve, skill and panache. 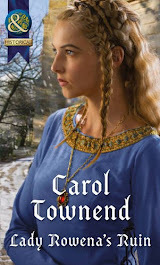 Whenever readers pick up a novel by Carol Townend, they are assured that they are going to be swept back in time and propelled into an exciting, compelling and wonderful evocative tale set in the Middle Ages and Runaway Lady, Conquering Lord continues Carol Townend’s tradition for writing densely written, high quality and wholly absorbing historical romance! 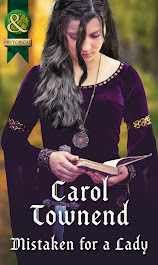 Wonderfully written, fabulously gripping and highly captivating, Runaway Lady, Conquering Lord is not to be missed! And this is the mill race. This shot was taken from inside today's mill, which was built in 1743 on the site of the derelict mill. The mill was grinding when we visited and what with the rush of the water and the clanking of the workings, there was a terrific noise. Finally the grain flowed down through the hopper and into a grain sack. We bought some flour to use in my bread machine. For another example of an early mill see this one at the Weald and Downland Museum. 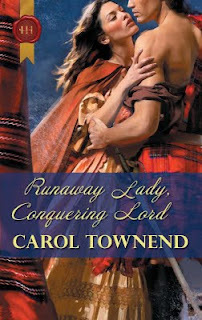 Runaway Lady, Conquering Lord - Review!